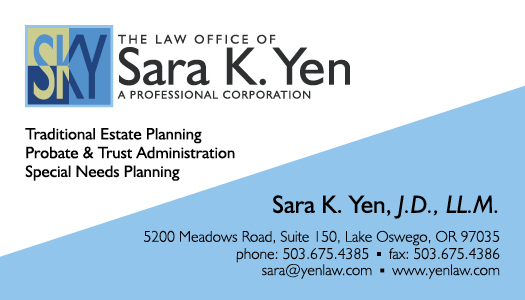 Sara Yen is an attorney with her own practice, an avid golfer, a wife, and a mom to an amazing kiddo. She has a heart for helping people, and she puts that to good use by helping them craft comprehensive estate plans, deal with probate and trust administration issues, and provide optimal quality of life in the future for family members with special needs. The Yenlaw brand reflects who Sara is as a person. Sara’s business needed a logo, branding, and collateral design. 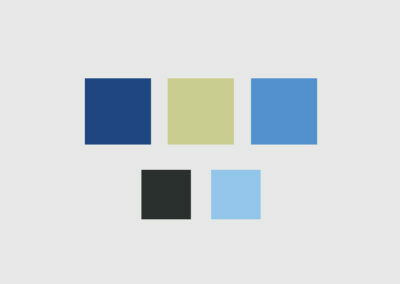 We started with the branding and logo design, moved on to collateral design, and then built her website. Read the process descriptions below for more details on how her brand evolved. 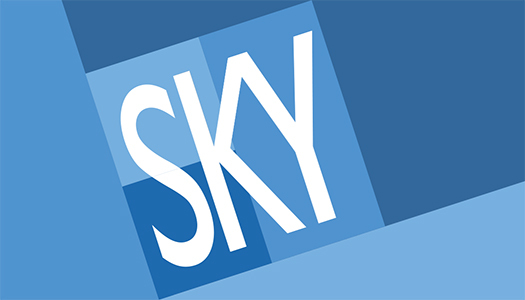 Sara’s desire for a clear, semi-modern motif led me to use her initials, “SKY”, done in a clean, straight-lined typeface, but overlaid on a box with three-faceted interior delineations. 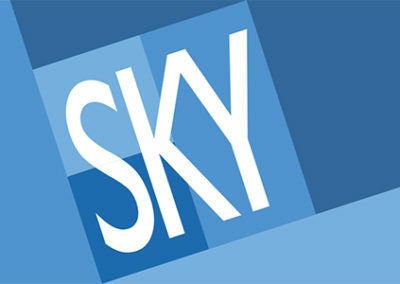 The type and the box shapes illustrate the business (and its owner) both in terms of parts and also as a whole. Once the Yenlaw branding was done, I moved on to the next phase, creating custom print collateral, and assets, including business cards, letterhead and envelopes, client forms, and brochures. 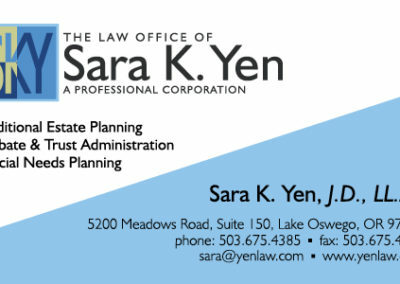 Sara moved her office recently, and needed to update the contact information on her business card. This was an opportunity to redesign the front. In order to make the front more visually cohesive with the back, I added a slash of blue on the bottom laid at the same angle as the back. Then I rearranged the practice areas and contact details to better fit the design adjustment. We absolutely love how they turned out! 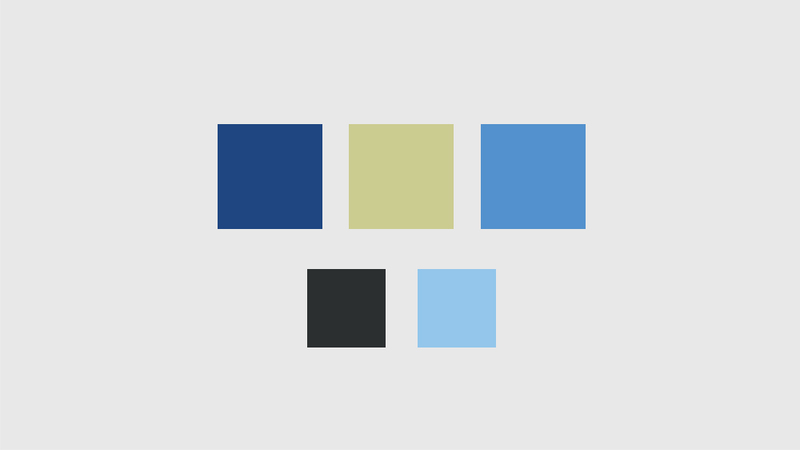 I’ve taken Sara’s website through many different changes over the years, from the days of tables-based layout, to moving her into a Content Management system, it has had many facelifts. 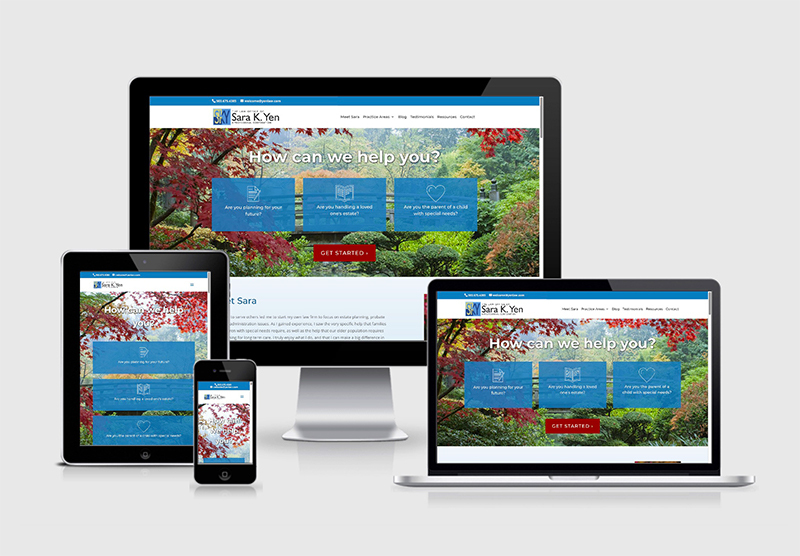 A couple of years ago, I designed and built a brand new, fully-responsive website from scratch, complete with blogging capabilities so Sara could communicate with her clients and advisors in a simple, clear, straightforward manner. The latest move for yenlaw.com was a migration into WordPress. While that was happening, we gave it a small spruce-up. She just loves the website!